Fay Craton brings to her work and to those around her a unique perspective resulting from experience in the very diverse arenas of psychology, business and spirituality. She coordinates the Alcohol and Drug Counseling, the Human Resources Management, and the Nonprofit Fundraising programs in LMU Extension. Ms. Craton has worked with substance abuse issues with clients in community mental health, domestic violence and private practice settings. She was an interim Human Resources director for a large non-profit with inpatient and outpatient substance abuse treatment facilities. Her extensive volunteer work includes serving on the ad-hoc steering committee for Early Intervention and Preventative Care at Los Angeles County Department of Mental Health, and on the board of directors for various organizations. 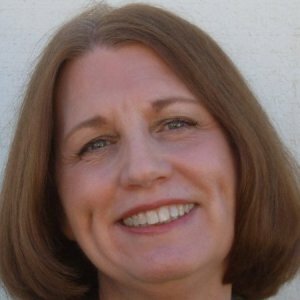 Ms. Craton has a Master of Arts from the Pacfica Graduate Institute, and credentials in psychology as a licensed Marriage and Family Therapist (LMFT) and in business as a Senior Human Resources Professional (SPHR). She has conducted extensive trainings within the business community, been a guest speaker for a televised Cal State Dominquez course on Organizational Behavior, and has taught in the Alcohol and Drug Counseling professional certificate program at LMU Extension since Spring 2010. Fay writes monthly mental health articles for the community newspaper, The HomeTown News, which covers news and events in the Los Angeles International Airport (LAX) communities.